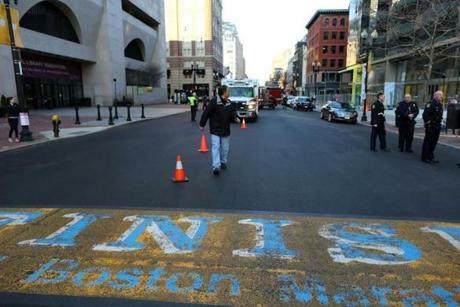 Jim Wilson, deputy director of photography, did a final walkthrough on Boylston Street before the crowd arrived for the photo shoot on April 6. 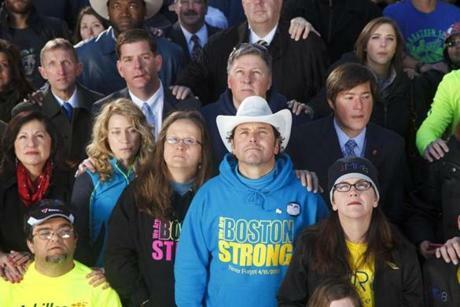 Sydney Corcoran greeted Carlos Arredondo before the portrait was taken. 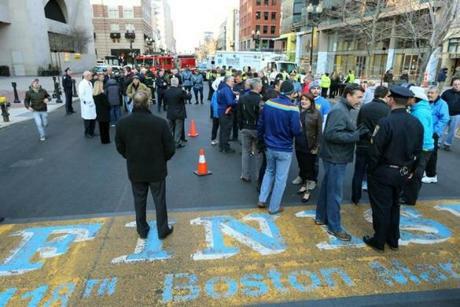 People started arriving at the Boston Marathon finish line. 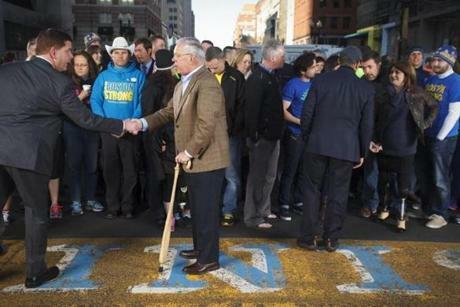 Boston Mayor Martin Walsh shook the hand of former longtime Boston mayor Thomas Menino at the finish line of the Boston Marathon. 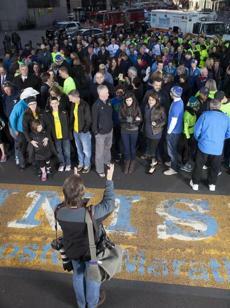 Photographer John Tlumacki directed the crowd in place for the portrait. 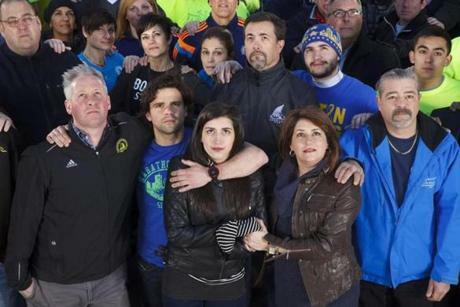 More than 200 people affected by the bombing returned to the finish line of the Boston Marathon for a group portrait. 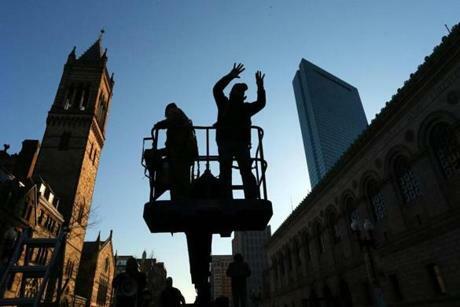 Photographer David L. Ryan directed the crowd on a lift at the Boston Marathon finish line on Boylston Street during the photo shoot. 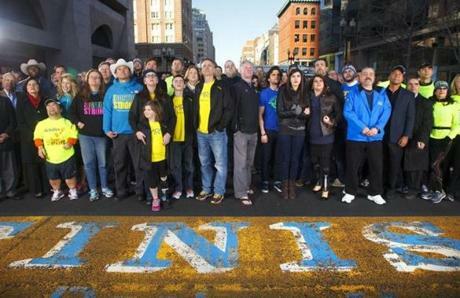 The group of people affected by the Boston Marathon bombing photographed from the lift. 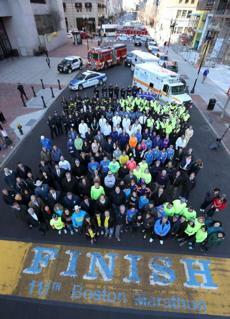 A composite of photos from the group portrait on the finish line. Arredondo’s cowboy hat was a distinctive presence in the crowd. 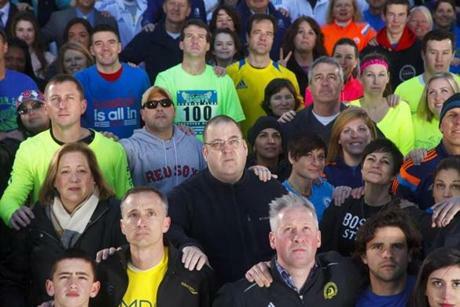 Some affected by the Marathon bombing will be at the race, but others won’t. Inevitably the race will be a crucible of memories, both good and horrific. 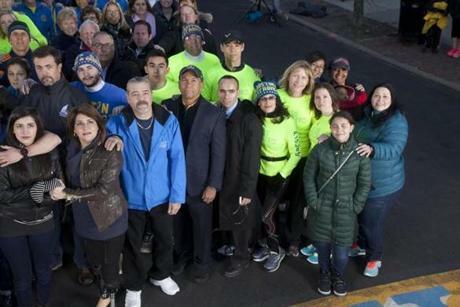 Marathon organizers and One Fund Boston officials said they are doing what they can to accommodate victims and their families. 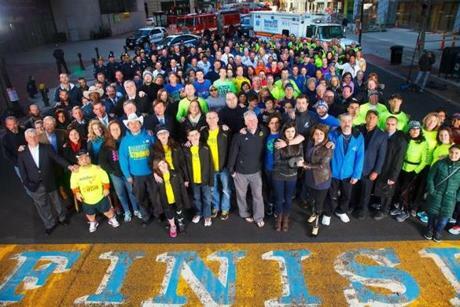 The final group portrait on the Boston Marathon finish line. 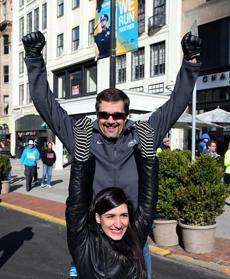 Kevin Corcoran from Lowell and his daughter, Sydney, threw their arms up on Boylston Street. 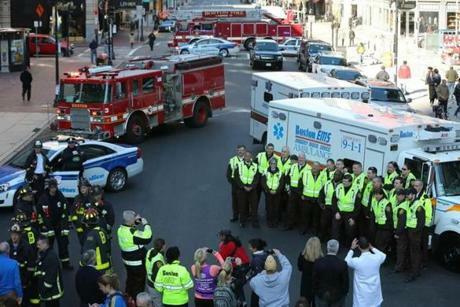 Boston EMS gathered for a photo. 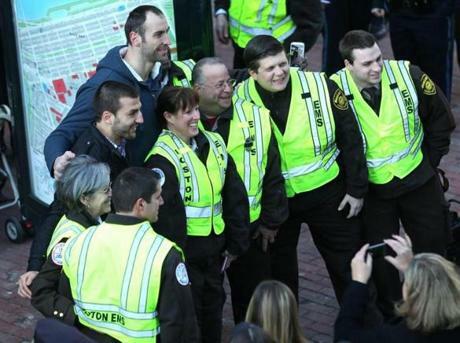 Patrice Bergeron and Zdeno Chara of the Bruins joined in for a group shot after the portrait.